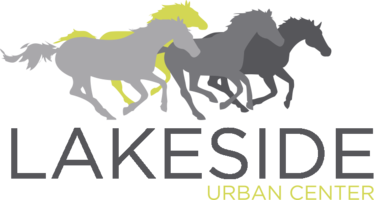 From the ground up, the team at Lakeside Urban Center designed an amenity package focused on maximizing the potential for shared community spaces. From a six-story parking garage with EV-charging stations to on-site touring bikes perfect for riding around Lake Carolyn, the amenities combine pragmatism and recreation to complement your lifestyle. Other resident favorites include the refreshing pool, spin and yoga studios, standing tanning bed and gaming lounge. This pet-friendly community also features a pet wash and dog park. The same attention to detail is evident in each upscale finish in your apartment. Hardwood or stained concrete flooring provides a touch of modern luxury while open design and track lighting enhance the sense of dimension. Each kitchen offers polished stainless steel appliances and granite counters, and select homes feature a kitchen island. Oversized closets with double doors add a comfortable touch, and in-home laundry appliances are available in select homes. Learn more about specific apt. features when you contact this Irving, TX community today. Pet policy: We welcome 2 pets per apartment home. There is a $300 pet deposit and $300 pet fee for the first pet and $300 fee for the second pet. Pet rent is $15 per month. There is a weight limit of 75 pounds per pet, and aggressive breeds are prohibited. For more information, please call our leasing office.